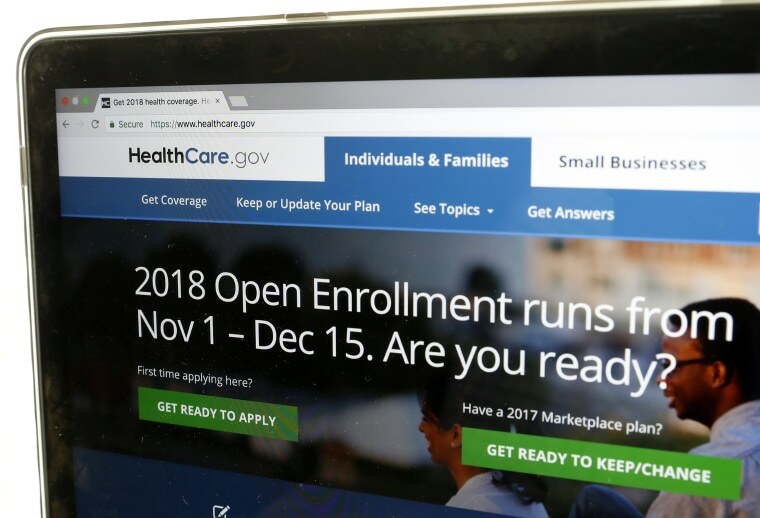 SAN FRANCISCO — A U.S. judge ruled Wednesday that the government does not have to immediately resume paying "Obamacare" health care subsidies that President Donald Trump cut off. Eighteen state attorneys general, led by California Democrat Xavier Becerra, argued the monthly payments are required under former President Barack Obama's health care law and cutting them off will harm consumers. U.S. District Judge Vince Chhabria in San Francisco said the Trump administration had the "stronger legal argument" and the emergency relief sought by the states would be "counterproductive" since they had devised workarounds to the lost subsidies that give millions of lower-income people better health care options. The states had asked him to force the government to keep making the payments while the case works its way through the courts, which will take months. Trump has said Obama's law is imploding and has criticized the subsidies as insurance company bailouts. The White House says the government cannot legally continue paying the subsidies because there is no formal authorization from Congress. Chhabria, an Obama appointee, said at a hearing Monday that California and other states had protected consumers from the loss of the funding so people didn't face an immediate threat of higher insurance costs. The states limited the plans for which insurers could hike premiums to make up for the lost subsidies and ensured that many people will get more tax credits for their health insurance purchases, the judge said. The administration had been making the monthly payments even as Trump threatened to cut them off to force Democrats to negotiate over health care. A bipartisan effort in Congress to restore the payments has run into opposition.